“The bigger they are, the harder they fall.” Clearly the likes of “Barbados” Joe Walcott (who originally coined the phrase) and Bob Fitzsimmons didn’t think much of size disadvantages when they each made history in years past. But as boxing has evolved, size advantages, particularly if used properly, have become increasingly difficult to overcome, and the number of weight classes in boxing has increased from a mere eight to a whopping seventeen. After twelve one-sided rounds last night, over 47,000 fans witnessed a great big man completely shut down a great little man. As many suspected when the match was originally announced, Mikey Garcia, a four time champ who won his first title at featherweight, bit off more than he could chew, let alone swallow. Gunning for not only a title in his fifth weight division, Mikey could have picked a gentler segue; instead, he chased history against arguably the best all-around package the star-studded welterweight division has to offer. 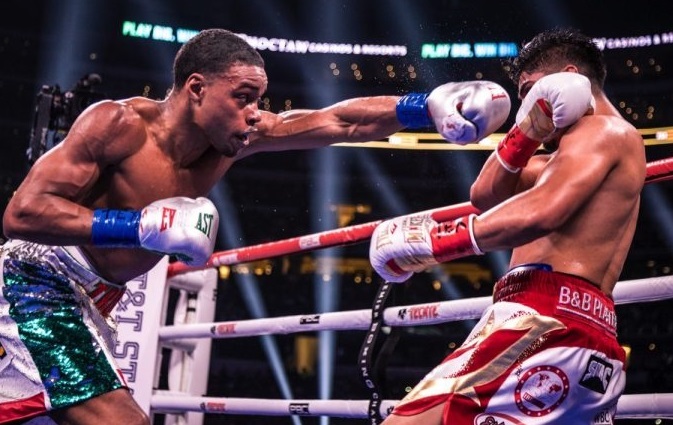 Errol Spence Jr., making the third defense of the welterweight title he snagged from Kell Brook in 2017, was competing on the biggest stage of his career, the event drawing more warm bodies than Manny Pacquiao’s 2010 victory over Antonio Margarito, and was in fact within just a few thousand attendees of the huge crowds that came out for Pacquiao vs Clottey and Canelo Alvarez vs Liam Smith. Last night served as a first opportunity for both boxers to headline a PPV attraction and was in fact one of the most hotly anticipated fights of 2019. If only the scrap itself could have lived up to the expectations. It was only natural that many predicting a Spence win emphasized the welterweight’s imposing size advantage over the former featherweight champion but this was not the whole story of the fight. 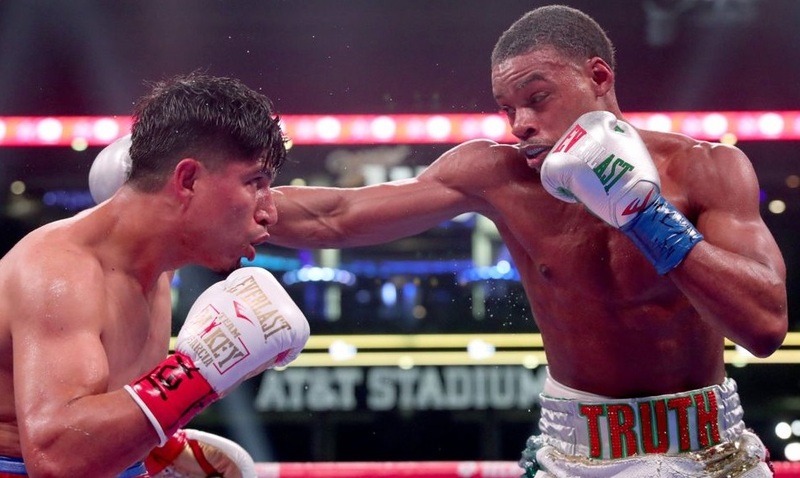 Spence started off tactically, intent to neutralize Garcia at range behind his jab. Using his lateral movement to prevent Mikey from getting set, it was clear Spence had the tools to outbox the smaller man if he wanted to, but in front of his hometown crowd, a consistently tacit approach would not cut it for the champion. 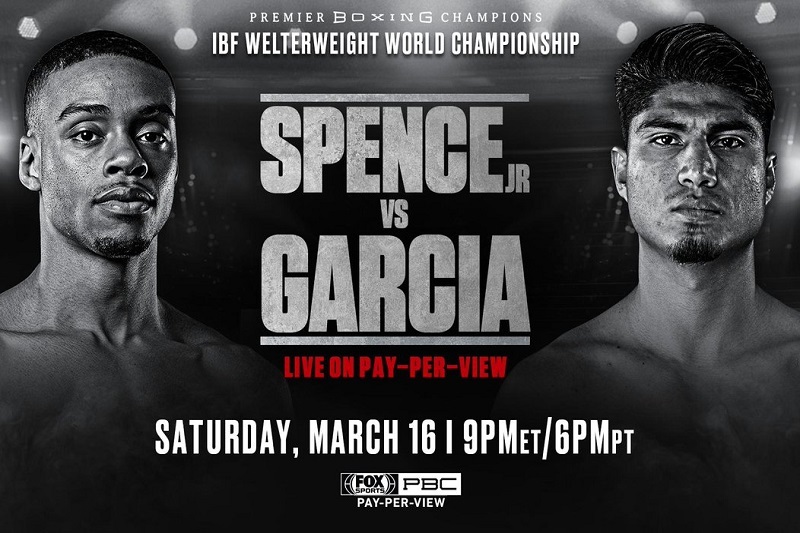 After tasting some of the challenger’s best leather in the second, it was evident Spence was in the clear to take more risks against Garcia, who struggled to mount a sustained offensive front. “The Truth” connected well with straight and looping left hands, both through and around the guard of Garcia, and was consistently feinting Mikey out of position to set up his shots. Garcia could do little to thwart the champion’s diversifying attack, as the Dallas native began to tattoo his man both upstairs and down. 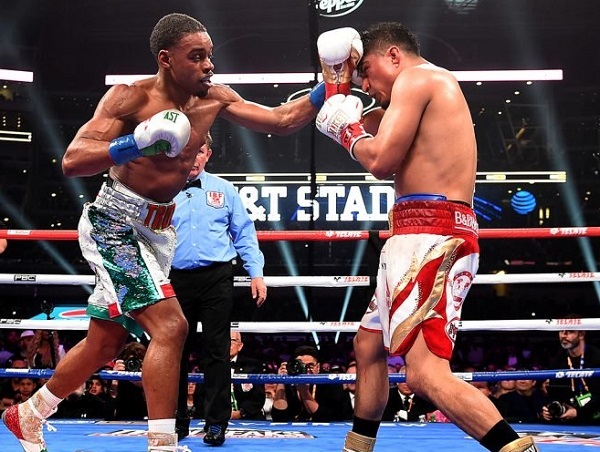 Whether it was Spence’s punching power, sheer activity, or a combination of each that kept Mikey in his shell is unclear, but by round nine Garcia was taking a hellacious shellacking all over the ring. It was the kind of beating that made you question why a great fighter like Garcia needed to be subjected to round after round of target practice, or if referee Jon Schorle or Mikey’s corner would have been within their right to end the one-sided rout. But Garcia was permitted to go the full twelve and unsurprisingly all three judges saw it a unanimous shutout in favor of Spence. In the post-fight interview, Pacquiao greeted the IBF champion, with both claiming they’d be interested in facing each other in the summer. “Yes, why not?” said Pacquiao, when asked about the possibility of facing Spence. Why not? 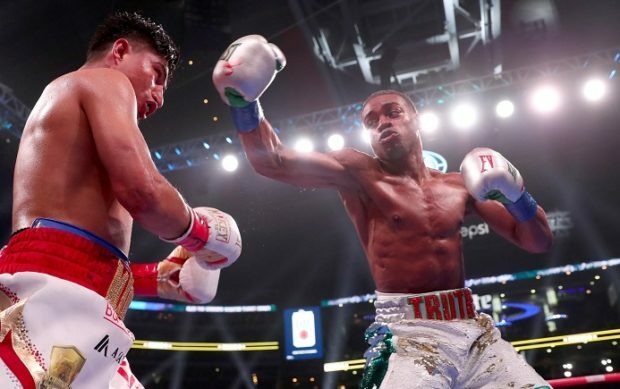 I think Spence showcased for 36 minutes every possible reason why Pacquiao would not want to fight him as he clearly established himself as the guy to beat at 147. He’s a hard-hitting, technically sound locomotive that can neutralize you with his craft, or break you down with voluminous power punching. Against Garcia last night, he did a little bit of both, and it’s hard to imagine a different outcome in a Spence vs Pacquiao fight. Let’s face it: Manny’s time has come and gone, while Spence is in his prime. Also in attendance was Shawn Porter who sat with Ray “Boom Boom” Mancini to provide guest commentary for the Fox Telecast, and surprisingly he predicted the smaller challenger would pull off the upset. Instead, Porter’s worst nightmare came true as he watched a twelve round clinic that reverberated across the welterweight division. From their post-fight discussion with one another, Porter once again appeared deferential to Spence as he has in the past, but he stated his desire to unify the belts with “The Truth” if Spence vs Pacquiao doesn’t come to fruition. Spence’s performance put the rest of the welterweight division on notice and reinforced why he’s known as the “boogeyman” at the weight. Following Porter’s razor-thin struggle to defeat Yordenis Ugas last weekend, it doesn’t look as if anyone in the PBC stable of welterweights has a great chance at dethroning Spence, which just emphasizes the notion that a fight between him and WBO champion Terence “Bud” Crawford should come together before it’s too late. The fear is that Spence will outgrow welterweight before a superfight against Crawford can be made. But while Spence can make 147, he has plenty of options that Crawford doesn’t have, namely Keith Thurman, Shawn Porter, or Manny Pacquiao. All three fights are major attractions, while “Bud” has sparse pickings to choose from in the Top Rank stable. We’ll see the kind of numbers Crawford’s April defense against Amir Khan generates, and then live in hope that Bob Arum and Al Haymon can make a deal, but the painful truth is that Crawford vs Spence, while being the best match the division can offer, is also the least likely to happen. Fight Report: DeGale vs Eubank Jr.